Brandon Baker, Chad Brantley, Justin Kramer, Unknown, George Grimm. Our original Junior Falcons section has been removed due to old age. If you are seeking photos or information on this team, send Email detailing your request. 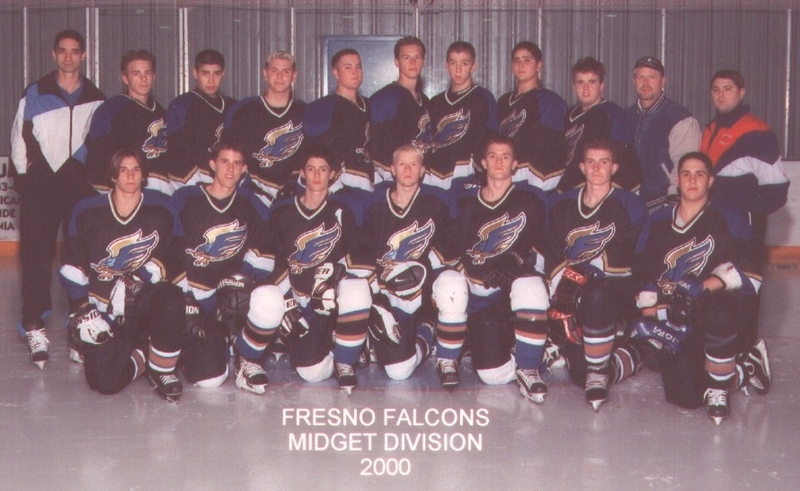 This site has no official connection with the Fresno Junior Hockey Club or the Northern California Hockey League; all content is the sole responsibility of the webmaster.